Varies by model---------------- New 2018 Golf Sportwagen SE Automatic VIN# JM751704 MSRP: $28,590 $8,000 Timmons DISCOUNT Off MSRP On a Purchase Timmons Sale Price: $20,590 MSRP $28,590 - $8,000 Timmons VW Discount = $20,590 Sale Price. Purchase only. Not available on leases. Plus government fees and taxes, finance charges, dealer documentation fees of $85, any electronic filing charge, and any emission testing charge. 1 in stock: VIN# JM751704. May not be combined with any special rates. Advertised price does not include dealer-added options or accessories. Vehicle subject to prior sale. See Timmons Volkswagen to details. Offer ends 4/30/2019. ------- New 2018 Golf S Automatic VIN# JM276444 MSRP: $22,895 $6,000 Timmons DISCOUNT Off MSRP On a Purchase Timmons Sale Price: $16,895 MSRP $22,895 - $6,000 Timmons VW Discount = $16,895 Sale Price. Purchase only. Not available on leases. Plus government fees and taxes, finance charges, dealer documentation fees of $85, any electronic filing charge, and any emission testing charge. 1 in stock: VIN# JM276444. May not be combined with any special rates. Advertised price does not include dealer-added options or accessories. Vehicle subject to prior sale. See Timmons Volkswagen to details. Offer ends 4/30/2019. 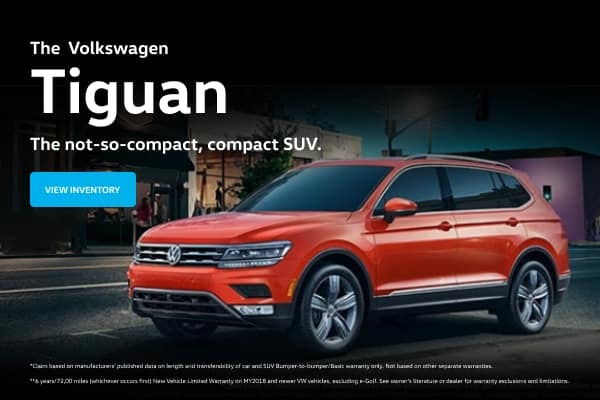 ----- New 2018 TIGUAN SEL Premium 4Motion AWD Automatic MSRP: $38,110 - $40,460 $6,500 Timmons DISCOUNT Off MSRP On a Purchase Timmons Sale Price: $31,610 - $33,960 Purchase only. Not available on leases. Plus government fees and taxes, finance charges, dealer documentation fees of $85, any electronic filing charge, and any emission testing charge. 2 in stock receive this offer: VIN# JM172962, JM189831. May not be combined with any special rates. Advertised price does not include dealer-added options or accessories. Vehicle subject to prior sale. See Timmons Volkswagen to details. Offer ends 4/30/2019. VIN# JM172962: MSRP $38,110 - $6,500 Timmons VW Discount = $31,610 Sale Price. VIN# JM189831: MSRP $40,460 - $6,500 Timmons VW Discount = $33,960 Sale Price. ----------------New 2018 ATLAS V6 SEL PREMIUM 4MOTION AWD Automatic MSRP: $50,575 $8,000 Timmons DISCOUNT Off MSRP On a Purchase Timmons Sale Price: $42,575 Purchase only. Not available on leases. Plus government fees and taxes, finance charges, dealer documentation fees of $85, any electronic filing charge, and any emission testing charge. 1 in stock: VIN# JC585173. May not be combined with any special rates. Advertised price does not include dealer-added options or accessories. Vehicles subject to prior sale. See Timmons Volkswagen to details. Offer ends 3/31/2019. VIN# JC585173: MSRP $50,575 - $8,000 Timmons VW Discount = $42,575 Sale Price. New 2019 Volkswagen Jetta 1.4T S Manual VIN: 3VWN57BU2KM050931 Lease for $79 + Tax, Per Month 36 month lease with $3,500 down payment, no security deposit required. MSRP $19,845. One in stock at this payment VIN# KM050931. Lessee responsible for excess wear and mileage over 7,500/year at $0.20/mile. Available on approved, above-average credit. Not all will qualify. May not be combined with any other offer. Excludes tax, title, license, registration, 1st month's payment, options, $625 Acquisition fee and $85 documentation fee. Expires 4/30/2019. New 2019 Volkswagen Tiguan 2.0T S FWD Automatic VIN: 3VV1B7AX7KM083642 Lease for $99 + Tax, Per Month 36 month lease with $3,500 down payment, no security deposit required. MSRP $26,060. One in stock at this payment VIN# KM083642. Lessee responsible for excess wear and mileage over 7,500/year at $0.20/mile. Available on approved, above-average credit. Not all will qualify. May not be combined with any other offer. Excludes tax, title, license, registration, 1st month's payment, options, $625 Acquisition fee and $85 documentation fee. Expires 4/30/2019. New 2019 Volkswagen Passat 2.0T Wolfsburg Edition Automatic VIN: 1VWLA7A34KC012534 Lease for $179 + Tax, Per Month 36 month lease with $3,500 down payment, no security deposit required. MSRP $27,375. One in stock at this payment VIN# KC012534. Lessee responsible for excess wear and mileage over 7,500/year at $0.20/mile. Available on approved, above-average credit. Not all will qualify. May not be combined with any other offer. All in stock. Excludes tax, title, license, registration, 1st month's payment, options, $625 Acquisition fee and $85 documentation fee. Expires 4/30/2019. New 2019 Volkswagen Atlas 3.6L V6 SE FWD Automatic VIN: 1V2DR2CA2KC510048 Lease for $279 + Tax, Per Month 36 month lease with $3,500 down payment, no security deposit required. MSRP $37,410. One in stock at this payment VIN# KC510048. Lessee responsible for excess wear and mileage over 7,500/year at $0.20/mile. Available on approved, above-average credit. Not all will qualify. May not be combined with any other offer. Excludes tax, title, license, registration, 1st month's payment, options, $625 Acquisition fee and $85 documentation fee. Expires 4/30/2019. Long Beach residents have a certain swagger about them. And we feel that the Volkswagen brand fits in perfectly with that lifestyle. 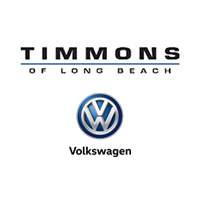 We have the full new Volkswagen selection in Long Beach, CA available right here at Timmons Volkswagen of Long Beach. But even if a brand new Volkswagen isn’t in your future, it should be noted that we also have a large selection of used cars in Long Beach, CA as well. That, along with our outstanding service department, expert finance staff and outstanding overall experience puts us in the running of being one of the best dealerships in the area. There’s a reason consumers from Long Beach and the surrounding communities make the trip to Timmons Volkswagen of Long Beach for their automotive needs.